This Bed and Breakfast and Holiday Cottage is situated in the heart of Snowdonia National Park, one mile from Betws-y-Coed in North Wales. Pengwern is built of Welsh stone and slate, and overlooks the beautiful Lledr Valley and was once the former home of Victorian artists. Today this charming Country House near Betws-y-Coed offers quality bed and breakfast accommodation, with a relaxed atmosphere, while "The Studio" which offers self-catering holiday cottage accommodation is considered to be a “little haven” for couples. Both are non-smoking and are 4 star Visit Wales rated. All rooms are en-suite, and WiFi internet access is available for guests to use. 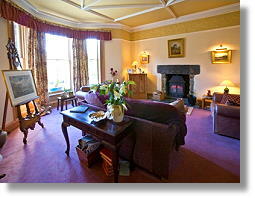 View our bed & breakfast page for details of this bed and breakfast in Betws-y-Coed. The Studio at Pengwern is ideal for those looking for a holiday cottage let in Betws-y-Coed in the Snowdonia National Park in North Wales. 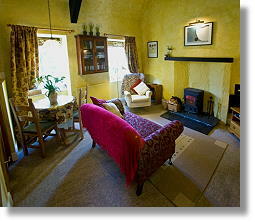 Quality self catering accommodation is provided in this stone built cottage that sleeps 2 people. View our self catering page for details of this holiday cottage in Betws-y-Coed. Being located at the edge of Betws-y-Coed, Pengwern is an ideal location from which to explore the Snowdonia National Park and the rest of North Wales, including the Zip World and Surf Snowdonia attractions. Find out more about the local tourist attractions and activities you can explore from this Bed & Breakfast and Holiday Cottage in Betws-y-Coed. - "Special Places to Stay. British Bed & Breakfast"
- "Author choice, merits special recommendation"
Content is copyright Pengwern Bed & Breakfast and Holiday Cottage, Betws-y-Coed, Snowdonia, UK.